Randall Sullivan was an atheist, he worked as a war correspondent in Bosnia. 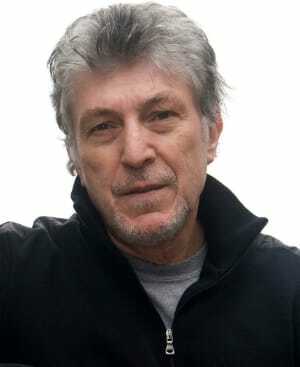 He was also a contributing editor to Rolling Stone magazine. 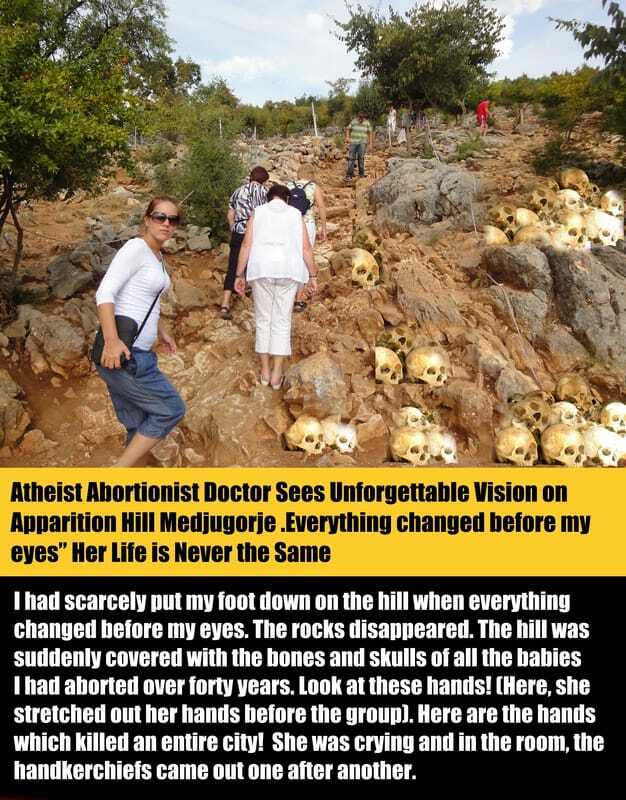 During the visit Medjugorje, something changed his life forever. Randall Sullivan was an atheist, but now believe that after experiencing a vision of the Cross Mountain. LOS ANGELES, CA (Catholic Online) - Sullivan began his visionary Mirjana polling day. Explained the interview went badly and she threw him out of her house. Inside, nothing more to do for the day, Sullivan decided to climb Cross Mountain. The day was hot and sunny, almost too hot to climb. Few people seemed willing to make a trip to trip, but Sullivan went anyway. Take prayer trivia quiz now! As he climbed, he heard a beautiful melodic voices singing in French. He ran to the side of French nuns, singing and praying the Way of the Cross. Sullivan decided to join his side for a while. Pleasant experience was interrupted developing storm that swept the mountain. Soon it was raining. Thunder and lightning crashed everywhere. Sullivan suddenly felt a compulsion to kneel and pray, which he managed for the first time in my life. When you pray, pretty, young woman appeared to him. When you pray, pretty, young woman appeared to him. She delighted in the storm and put the hat on his head. The moment was so peaceful and surreal that Sullivan closed his eyes to make him take it. When he opened his eyes, everything was gone. Brilliant sun burned. Nuns were nowhere to be seen. The young woman disappeared. He had no hat. No one else saw nothing. Not a nun, not a storm, nothing. For all others, it was an ordinary day in each direction. Sullivan realized that just experienced a miracle. From that moment he became a believer. 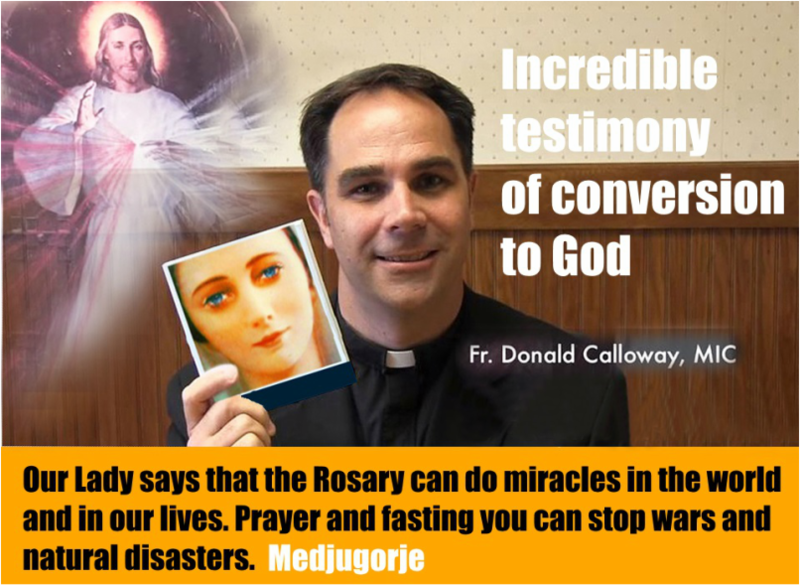 Sullivan is now believed miracles in Medjugorje after he witnessed one firsthand. Critics says: "There is only one word that I found it so immediately could produce an enthusiastic smile derisive snort or uncomfortable silence in the Vatican as" Medjugorje "What fascinated me was that those hyped Medjugorje as a place sacred virtues incomparable force all made pilgrimages to experience the community first hand, while those who scoffed knew only what they have read or heard. priests tend to reject the report of the miracle at Medjugorje (first as an insult to their intelligence and the other as an embarrassment to the church), everything seemed strangely subdued. " What do you think? Do you believe in miracles in Medjugorje? Those who say, I do not believe in God, how difficult it will be for them when they will approach the Throne of God and hear the Voice, Enter into Hell. April 4, 1985 (Holy Thursday) "Dear children! I thank you for having started to think more about God's glory in your hearts. Today is the day when I wished to stop giving the messages because some individuals did not accept me. The parish has been moved and I wish to keep on giving you messages as it has never been in history from the beginning of the world. Thank you for having responded to my call." October 2, 1986 "Dear children! Today again I am calling you to pray. You, dear children, are not able to understand how great the value of prayer is as long as you yourselves do not say: 'now is the time for prayer, now nothing else is important to me, now not one person is important to me but God. Today again I am calling you to complete conversion, which is difficult for those who have not chosen God.God can give you everything that you seek from Him.But you seek God only when sicknesses, problems, and difficulties come to you, and you think that God is far from you and is not listening and does not hear your prayers.No, dear children, that is not the truth.When you are far from God, you cannot receive graces because you do not seek them with a firm faith. 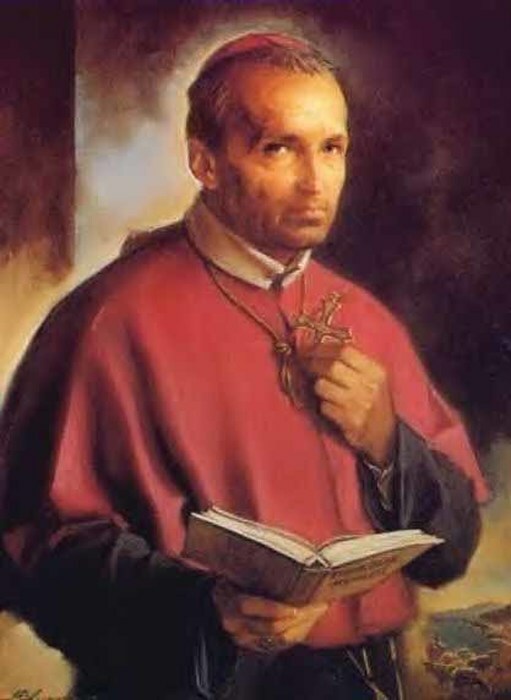 Day by day, I am praying for you, and I want to draw you ever more near to God, but I cannot if you dont want it. Therefore, dear children, put your life in Gods hands. Oct 8, 1985 Mary - Those who say, 'I do not believe in God' how difficult it will be for them when they will appear at the throne of God and hear the voice: Enter into Hell. Today again I am calling you to complete conversion, which is difficult for those who have not chosen God.God can give you everything that you seek from Him. Little children, love bears everything bitter and difficult for the sake of Jesus, who is love. ​"My children, understand that the most important thing in our lives is prayer." There are many Christians who are no longer faithful, because they do not pray anymore. Have them begin again to recite each day, at least, 7 Our Fathers, 7 Hail Mary's, 7 Glory Be's, and the Creed. Above all, abstain from Certain television programs. They represent a great peril for your family. After you have seen them, you can not pray any more. Give up likewise, alcohol, cigarettes, and pleasure of this kind. " "My children, pray! The world has been drawn into a great whirlpool. It does not know what it is doing. It does not realize in what sense it is sinking. It needs your prayers so that I can pull it out of this danger." Father Donald Calloway’s Conversion Story – From Drug Addicted Pagan To A Priest Of Mercy. A REBELLIOUS TEEN, DRUG ADDICT TURNED PRIEST. A True Conversion Story. Dear friends, let us not lose hope, neither with ourselves nor with others. Through the loving intercession of Our Lady, let us ask God’s infinite mercy for the conversion of many people, beginning with ourselves. 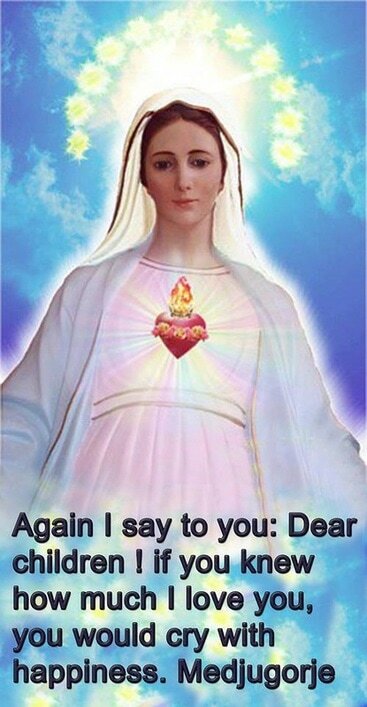 Let us not forget that CONVERSIONS DO HAPPEN WITH GOD’S GRACE, OUR LADY’S INTERCESSION AND MAN’S CORRESPONDENCE! ​Mirjana said in a recent interview that there is not a person on earth who doesn't need Confession at least once a month. Medjugorje - From hell to heaven passing through bunga bunga. Ania Goledzinowska: By faith I have found happiness. ​This Man Is About To Die. Why Is He Smiling? Jennifer Lawrence Says She Feels Guilty About Kissing a Married Man -- and it's left her feeling some major guilt!